"Race to the South Seas!" 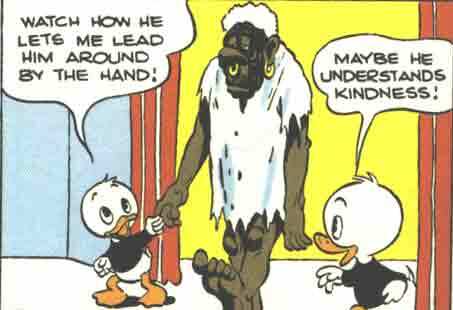 is a 22-page funny animal comic book short story written, drawn, and lettered by Carl Barks. 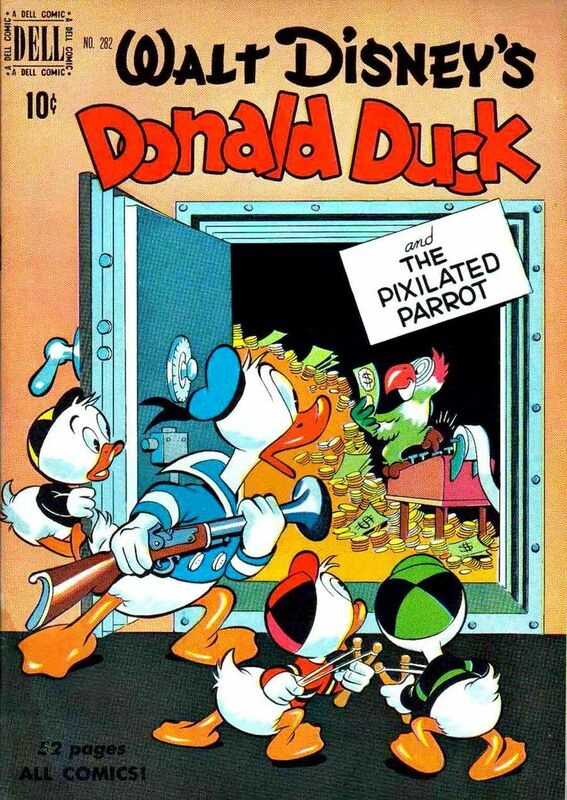 Characters in the story include Donald Duck, his nephews Huey, Dewey, and Louie, Gladstone Gander, and Uncle Scrooge.... Donald Duck: Lost in the Andes is a handsome looking book, and trust me when I say it’s just the first of many I plan on reading by Barks. It may have taken me several decades to finally read Barks’ comics, but I’m not waiting that long for another helping. I’ll be reading these as fast as Fantagraphics can publish them. 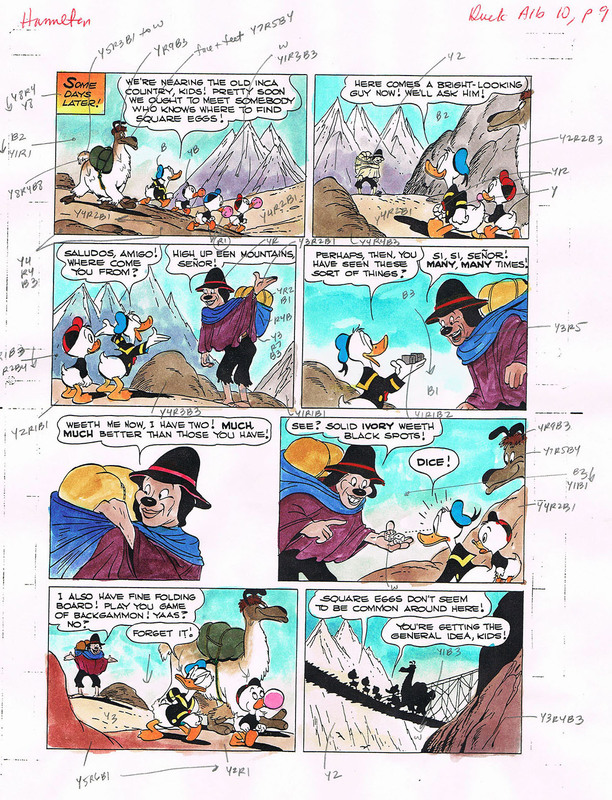 Walt Disney's Donald Duck: Lost in the Andes (The Carl Barks Library, #7). Fantagraphics are now publishing the complete Disney Work of the great Carl Barks in 30 volumes.